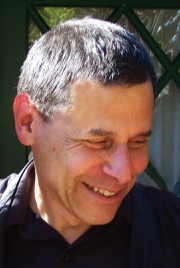 Robert Rosenbaum, Ph.D. is a clinical neuropsychologist and psychotherapist in the San Francisco Bay area, a Zen practice leader and senior teacher of Dayan Qigong, and a mountaineer. He brings a lifetime of practice to the moment-by-moment harmonization of body, mind, and spirit. In order to devote himself full time to Zen and Qigong practice, Bob recently retired from 25 years in Kaiser Permanente Medical Centers, working in the Departments of Psychiatry, Behavioral Medicine, and Neurology. While there he served as chief psychologist and as the head of assessment services. As a psychotherapist he specialized in brief therapy and, with Moshe Talmon and Michael Hoyt, did research on single session interventions. In Behavioral Medicine he developed a mindfulness-based program for patients with chronic pain. Bob initiated training programs in neuropsychology, hypnosis, and brief psychotherapy and held grants researching dementia and adult attention deficit disorder. Bob is the author of numerous journal articles and the book Zen and the Heart of Psychotherapy. His most recent book, Walking the Way: 81 Zen Encounters with the Tao Te Ching will be published by Wisdom Press in Spring 2013. Bob has been a lifelong avid backpacker in the Sierras and Cascades. Since 2000, Bob has spent one or two months each year in the Himalayas. He assisted his friend, Robin Boustead, in the development of portions of the Great Himalaya Trail across Nepal and India. Bob is the proud father of two grown daughters who are enthusiastic climbers, lovers of the outdoors, and committed to social justice. Bob sees the sitting meditation of zazen and the moving meditation of qigong as two complementary expressions which mutually reinforce the natural practice of the Way in ordinary, everyday activity. Psychology and neurobiology can help inform this practice, but neither explain nor constrain it:. The brain is not the mind and (as Zen Master Dogen teaches us), the mind is not the I; our bodies-and-minds are the universe, one bright pearl.